At Physio Revolution we strive to understand each client's needs and goals, closely following individual's progress to ensure that each person is rehabilitated to their maximum potential, often surpassing their pre-injury level of fitness and well-being. Please take a look at the list of conditions we can treat, as well as the treatments we offer. Our diverse range of treatments can help with injuries, relaxation, and postures. We are your one stop shop. 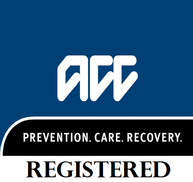 Being an ACC registered practice, you will be eligible for subsidised treatments. You won't need a referral to come for our treatments. Come see us straight away and let us help you out! "Can't say enough about Physio revolution. The last couple of years have been challenging to say the least, but with Ritika's ongoing physio I have seen amazing results. I have told anyone I cross paths with that is in need of some relief to pay them a visit." "Thanks to all at Physio Revolution for looking after Team Canada during the Commonwealth Powerlifting Championships. Your care and attention were contributing factors to our great showing, confidence & peace of mind." "The most efficient and accommodating team that I've come across in a very long time. I had a knee injury and was told that it would take at least 6months of physio sessions to see any significant difference. Went to Physio Revolution for a second opinion, the amount of work that they put in to me..was amazing !! I saw a difference within 2 months. The follow up sessions helped me greatly! Highly recommend!!" "Thanks Ritika for your wonderful skills in helping me to feel fitter, stronger and more flexible. You have improved my life immensely, it is so great not to be in such pain anymore. You are the best!!" Our Ellerslie clinic has now been relocated to 1492 Dominion Road Ext, Mount Roskill.